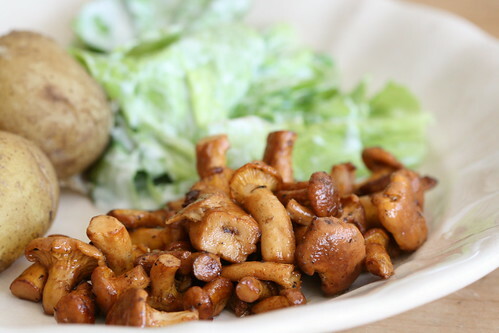 Chantarelles fried in butter, boiled new potatoes and fresh green leaves from your garden, dressed with some sour cream. I'll never get tired of that combination! This is absolutely beautiful! What an inspiration to have such lovely ingredients presented with such simplicity and grace. I love the family story too, absolutely!